Last night i looked on Stars if there was a Badugi tournament found one and enter $2.00 prog. bounty i started vey slow card dead tried few hand but nothing so decided to be patient since i had very agressive players at my table and after a while i started to rebuild my stack until this hand come. I was dealt a nut Badugi A 2 3 4 and decided to slow play it i check one bet one called an i did the first draw i min bet trying to show a weak badugi got raised other called and i do to same on 2nd and 3rd. draw min bet got raised and then i pushed what i had left in chips they both called and of course i won the hand and became overall chips leader. To make it short i enclose copy of final tourney. You finished the tournament in 1st place. 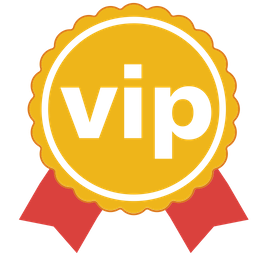 A USD 19.62 award has been credited to your Stars Account. wow bounty badugi.Cant find it ! looked that hand mr.pinotte.this guy somehow win last hand and make k.o. i am knew it,he is not know rules,so i just check raise with k pat and double my stack.really great tourney for us drawers. You are doing well in a game that is not that popular. Besides winning it, you got even more from bounties. Something tells me that you are going to be a regular to it with more winnings. And why not, since you have scored good both games. I played another one yesterday it was a freeroll that i found on another site and had to registered to get the password. Then i registered to the game and they were saying first 80 are winning prize will be given later. But later i just found that there was nothing to win we were playing for fun. I played it just the same and finished 15th. out of 808 players but many sit out and it also was a limit tournament which i don't like very much i prefer pot limit ones. Since you are running hot keep playing this game. Limit is annoying indeed. I cant stand it. I have quit many freeroll games due to this, even ones that i had a good shot to get paid. 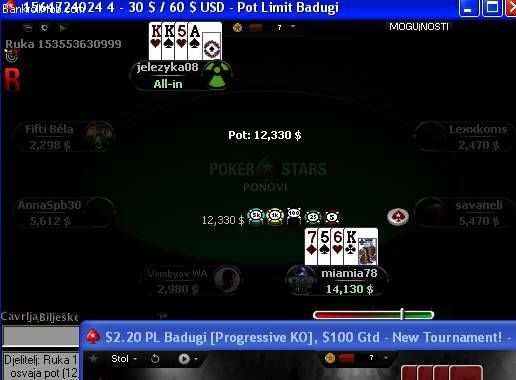 it seems that badugi was an intersting new poker game and perhaps it was a good idea to learn more about this game. The most player, me too, playing nl holden or Omaha and perhaps ir was +ev to try a new game to build a bankroll.